You have to pick your winter days, for some are definitely not for walking, though there are hardy souls seen striding across windy landscapes or over snow-shrouded moors. Some people relish their winter mountaineering, for the rough conditions are the challenge to which they must rise and test their mettle. But there are winter days when the sun shines and the weather is not too cold or wet, when we want to walk the stiffness out of our limbs or use up some of the calories that we have added; and these days, when a slight frostiness in their air nips our cheeks, make for lovely experiences. Summer wears a garment, a green dress that proclaims her loveliness, but hides her form, but as the year ebbs away the greenery fades and the stark features of the land are revealed. The deciduous trees have months-since shed their leaves and stand skeletal in the pale landscape, their branches brown against the stark blue sky.It is on these bare trees that the winter allows us to see the mistletoe, normally hidden by the greenery. In rural Worcestershire, in the English West Midlands, one December I walked along an English country lane in whose winding hedgerows trees were adorned with mistletoe clumps at their highest points. Mistletoe evokes ancestral memories of our druid forebears, making you feel in touch with Britain's past when you see mistletoe still flourishing in our ancient land. I love the winter sunlight. My mind roams back over the years to a January day in Cumbria, in years when that lovely country was not beset by floods that wreck homes and ruin businesses. The morning had dawned totally clear and I set off from my climbing hut in Langdale,near the centre of the Lake District, to ascend the crags. The sky was ice-blue, and the sun, rising in the East was behind me, so there was no glare to dazzle my eyes. Having ascended to the top of Crinkle Crags, I took in the view. The air was clear of mist, as the Summer's haze was off the land, leaving the air with crystal clarity. The atmosphere was so clear that from this vantage I could see as far as Southern Scotland and the Isle of Man, serried ranges of rock rolling into the distance. The thin light makes the distinctive winter scene. Gerald Manley Hopkins, writing in his poem Inversnaid, said it well when he spoke of a "beadbonny ash" and the groins [field walls] of the braes [hillsides] being degged and dappled with dew. 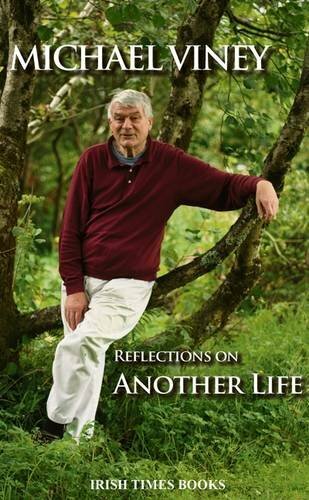 This priest and poet had hiked up the Scottish hillside to a fast flowing burn [Scottish and Northern English for stream] that cascaded down to a loch via a dark pool, and he tried to give voice to his experience in poetry. His invented word, beadbonny, tried to capture the beauty of an ash tree that caught the sunlight in the droplets of rain or condensation that dripped from it and scattered them in a tiny glitter of light by which the dew droplets bedeck the land around them. Spiders' webs also catch the sunlight in their dewy covering and redistribute it, answering the sun with a reflected sparkling, Earth's chorus to the blessing of the sun. But there are other park inhabitants. One winter's day I was delighted to see a heron standing motionless by one of the small lakes. A powerful sight. A winter walk by the moat, which has been modified into a lake, will show coots and moor fowl, ducks of various species and geese, and as ever the portenders of Winter storms, gulls flocking inland in abundance ahead of the coming winds and shrieking their complaints to all who will listen. But there are signs of the passage of time.We pass the site of a fallen tree and its broken stump, in Summer it is shrouded by bracken, but in winter when the bracken has died down the tree is still there, but smaller. Years ago our infant children used to scramble and play on it, but over the years it has slowly dissolved back into the Earth, eaten by bugs and fungi, and the children are now adults. We become acutely aware of the passage of the years. That's Winter, a metaphor for the cycle of life. All things return to the Earth, but there is hope, as the cycle swings round. As I write this the year has turned, the winter solstice come and gone, and the days growing longer. The most memorable part of Winter mountaineering is snow, but the walks of earlier years fall into a confusion of memories. The places are clear enough, but the dates are forgotten. I can recall one time when we walked up the Glyders, in Snowdonia, whose jumbled boulder field was shrouded by a thick layer of snow. The path upward was past the Devil's Kitchen, Twll Dhu, a dark cleft through which water surges down from the summit. There is a climbing route, but only in Summer, and this time the cascade was hanging with icicles. We took the alternative and safer route, the footpath that rises steadily to the higher slopes of the mountain. You have to be wary as you tread, for the summits have small hanging valleys, tiny U-shaped stream beds, residues of the pre-glacial drainage of the hill, whose streamlets cascade in Summer over the dark wall of the Cwm. I was not careful enough and put my foot through the ice into the stream bed below. Wringing out your sock at 3000 feet in snowy weather is a chilly experience. We ambled round the summit and walked across the saddle to Glydr Vawr. The misty air limited the view, but the majesty of the Winter mountain takes you out of your human comfort zone, to the edge of habitabilty, to a place where humans pay fleeting visits and then retreat. The Winter mountain is real wilderness. We need it but cannot stay long in its presence. We descended to the safety of the valley, stopping at the Tea Shack for a cup of steaming tea and a burger. Yet some walks are memorable for what went wrong. Three of us, two males and a female, once walked into the south Carneddau, divided from the Glydrs by the Ogwen Valley. The white magnificence of the hills entranced us, but the group leader navigated wrongly and as the snow storm swirled away visibility to a few yards he misread the route and took us into the uninhabited part of the range with evening falling. Once we recovered our bearings in the fading light, we were faced with three choices: go back over the mountain, go the long route round it, or stay the night on the hill, but the last would have meant the mountain rescue team being alerted. But my legs were too tired for the former, so we took the long trek round the mountain. We managed to return to the climbing hut just before our panicking friends telephoned the rescue team to report us missing. The drinks in a warm bar were welcome that night, but next day my legs felt like stone. Lessons learned!. Yet there are times when the air is clear and the snow is light. One time in Langdale,Cumbria, we, the Beswick family, walked up to Stickle Tarn and on the way found a snow bank. The children piled in and soon the children of other families joined in the fun, leaping and rolling down the bank, throwing snowballs and having a really good time. Purists might complain about the pristine beauty of the snow being spoiled, but by the end of the day there were several happy children whose family walks had produced unexpected fun. The shore is a special place in Winter, but it is an environment in which visitors should tread carefully, for in stormy conditions waves can overwhelm the unwary. Even in seaside resorts with sea defences there are memories of casualties, not all of them walkers, being swept to their deaths by storm waves. Yet the shore is a liminal place. For our pagan forebears liminal places were those where two worlds met: mountain tops, wells, caves, and shores. Headlands were particularly significant, as they can be where Earth, sea and sky meet, and the power of the wind is keenly felt. For pagans these were sacred places,where humans sense the presence of the Other. I once walked along Black Head on the south side of Galway Bay, Western Ireland, a bare, rocky shore bearing one road and little habitation, with the bay to the north and the barren limestone lands of the Burren inland of me. I climbed to the top of the headland and surveyed the barren limestone karst, a harsh land unrelenting to humans in Winter and then in the light of a crystal clear sky I looked over the bay to Galway and the cold,barren hills of Connemara in the far distance. A Winter stroll on the Burren that rolled away eastwards in grey silence was shortened by the fading evening light, so I returned to the campsite and sausages cooked on the campfire. After a storm the shore has lapsed from a place of terror to one of relief. The huge swells that crash ashore and roll up to the sea walls and beyond are past. The air is still and the sense of calm is heightened by the recollection of the previous day's or night's storm. The land is beadbonny with wet droplets sparkling their response to the sunlight, and the shore is scattered with seaweed and flotsam, remnants of nets and pots, and the detritus of human life. 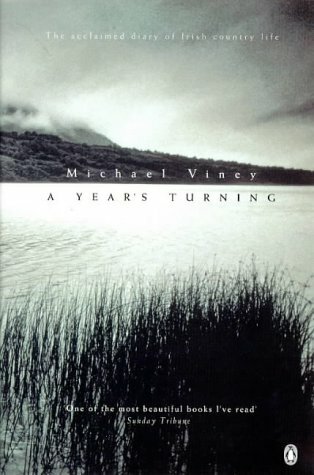 Michael Viney, an Englishman who dwelt with his Irish wife on the Atlantic coast at the foot of Mweelrea mountain, writing in A Year's Turning, tells how the couple used to wake at dawn after a storm to fill their freezer with fish washed ashore. This lovely little book begins with the image of a windy shore, where sandy skeins are whipped up by the wind and wavelets scurry across the surfaces of the shallow pools, while the wind sings its accompaniment to the dancing of the waters. When I have finished this article we are heading for Dunham Massey, for a walk in the deer park, followed by lunch at a local inn. It will be wet and muddy, and the stream that we cross on the narrow footbridge will still be in spate. The bucks will be bounding through the park to keep warm, and the hinds will be huddled together. We have some vouchers for a meal at the nearby inn, a Christmas present from our daughter in Anglesey. We should have been going to see her today, but the main roads through North Wales are cut by floods, so plans had to be changed and we fell back onto one of our favourite walks. The fallen tree will have dissolved a little bit more, marking the passing of the years, but the lengthening of the days says that the depth of Winter has passed. 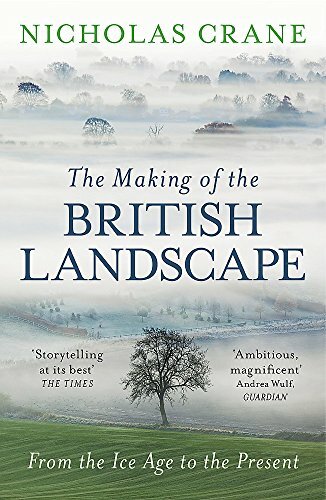 Amazing Article and lovely to read about Dunham Massey. .Thanks for Sharing the Tips. Great. I never anticipated that they would sell in Rumania. I find them very comfortable. I have never had any soreness with them. I took a look at Johnscliffe boots and they seem to be exactly what I need! I'll order a pair online and hope for the best. I have used a variety of boots over the years,and currently I use a Johnscliffe boot, an English brand, which has a hard heel. Can you obtain a bandage that will protect your heel? If you can get one, apply it to keep the gel pads in place. Good luck. 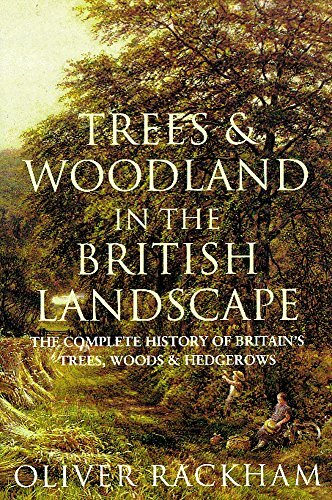 This was a nice, pleasant read about appreciating nature in winter. What boots do you use on your hikes though? I find the ones with a hard back (at the heel) chafe my skin. I tried using gel pads (the kind that you stick onto the inside of the boot), but they come unstuck. 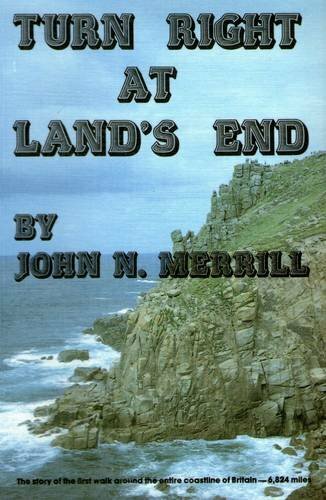 I have added John Merrill's book to the books on sale from Amazon in this article. It is worth reading. Here is why care must be taken on stormy coasts. 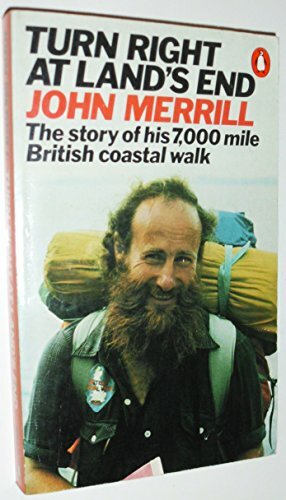 John Merril, the first man to walk the coast of Britain, and six foot three tall, was walking along a beach in North West Scotland several metres from a quiet sea, when suddenly he was for a few moments up to his waist in water. He kept his balance, and at his great height he was not overwhelmed, but a smaller person could have been swept away. He had encountered a freak wave. 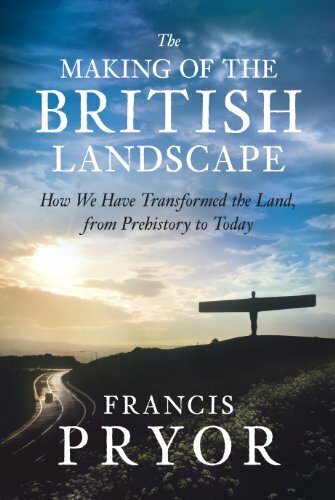 frankbeswick, All of the walks have inspiring, interesting experiences and observations, but I must admit to a particular delight in reading about Dunham Massey and your reflections on the woody changes since your children's childhood. My preference is for landscapes full of flowers, fruits, leaves, and nuts. But I also admire the beauty of structure in "the bones of the land" when foliage is gone. 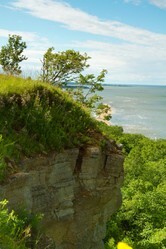 Thank you for the guided country lane, deer park, mountain, and shoreline tours. It would be wonderful if you saw an American Eagle. I had to wait until I was fifty six to see an eagle, and that was in Norway.It stooped on its shallow dive and did not rise again, so I suppose that it caught its prey. I have only ever seen one in the wild, but they are rare here. Twenty degrees [ fahrenheit I presume] is low, but is it dry cold rather than moist cold? In Britain we are aware that you can tolerate dry cold air more easily than moist cold air, as the damp seems to foster colds and chills. People think that people like us are mad when we go out in the cold. I remember one of my wife's relations thinking that I was nutty for camping on the Atlantic shore of Ireland in February, but it was a beautiful place well worth it, but a cold night! The winter beauty is worth it. I imagine that Colorado is a great place for walking, but as you know there is great beauty in America.